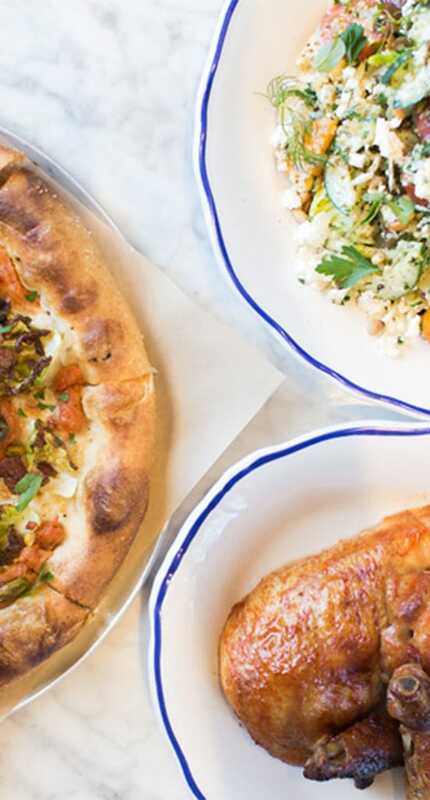 Doughbird brings you a crave-worthy menu with an unexpected yet perfect duo: Pizza & Rotisserie. Yep, you heard right…Pizza and Rotisserie. Now, eat the best of both worlds with the tastiest house-made pizza and rotisserie chicken in Phoenix. A neighborhood spot where you can get comfortable with eclectic combinations like our Spiral Ham Pizza adorned with spicy pineapple and smoked mozzarella or our juicy Rotisserie Chicken in a rich Thai curry coconut broth. With any of our eight house-made sauces, dunking your pizza crust will be taken to a whole new level. 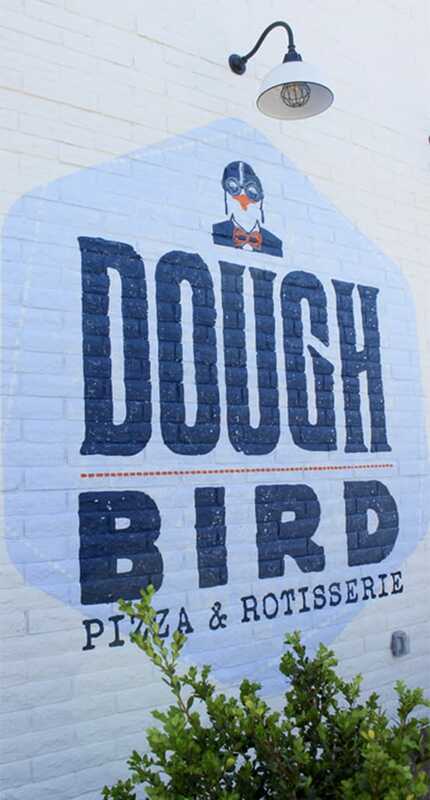 At Doughbird, you’ll discover a new irresistible favorite. So, savor a fun family dinner any night of the week, or grab a slice & sip on a cocktail at happy hour daily, but always add a bite of interesting to your day. $6 Craft Cocktails, $9 Sangria Pitchers, and more!